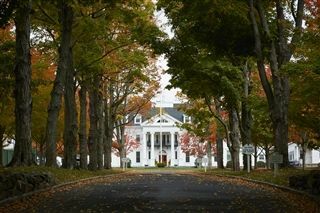 New Canaan Country School welcomes applications for all grade levels (Beginners through Grade 9). We encourage you to begin the admission process right away, and the information below provides you with a general outline of our procedures. We are delighted that you are considering Country School for your child and we stand ready to help you along the way so please contact us at (203-801-5608) if you have any questions. Submitting the initial application not only allows us to contact you regarding scheduling your child’s visit to Country School, a required part of the admission process, but also ensures that we may monitor the receipt of the other application pieces. Applications for admission should be accompanied by a non-refundable $75 ($150 for international) application fee. A waiver of the application fee is available on request for those families for whom the fee represents a financial burden. To request a waiver please contact the Admission Office. Please contact the Admission Office (203-801-5608) to schedule a parent visit and tour. Please note that because students applying to Grades 7, 8 and 9 are required to interview as part of their application, families may wish to combine the student interview with the parent visit. Parents and their children are invited to tour campus together at this time. Students considering Grades 4, 5 and 6 are welcome to accompany their parents for the campus tour as part of their parents' visit, but there is no student interview. After submitting the initial application, please refer to the Applicant Portal for more details regarding your child's assessment at Country School. Depending on the grade for which your child is applying, these assessments entail Admission Office and/or teacher-directed assessments, group visits and/or class “shadow” visits. Regarding standardized testing, please click on the appropriate grade-level links below to learn more. After submitting the initial application, information regarding the visit will be in the Applicant Portal. Parents of Beginners are expected to remain on campus during their children’s visit. After submitting the initial application, information regarding the visit will be in the Applicant Portal. Parents of Kindergarteners are expected to remain on campus during their children’s visit. We look forward to meeting each of our Kindergarten applicants individually for a readiness assessment. This assessment lasts for about 45 minutes; parents are asked to remain on campus while their child is assessed. The Admission Office will contact you with a date for your child's assessment. We are happy to try to combine the Parent Visit/Tour with the Individual Assessment. Applicants for Grades 1 are invited to Country School for a classroom visit. Visiting children will be given an individual assessment while on campus. More information regarding the visit will be in the Applicant Portal. Parents of First Graders are expected to remain on campus during their children’s visit. Applicants for Grades 2 are invited to Country School for a classroom visit. Visiting children will be given an individual assessment while on campus. More information regarding the student visit will be in the Applicant Portal. Applicants for Grades 3 are invited to Country School for a classroom visit. Visiting children will be given an individual assessment while on campus. More information regarding the student visit will be in the Applicant Portal. Applicants for Grades 4 are invited to Country School for a classroom visit. Visiting children will be given an individual assessment while on campus. More information regarding the student visit will be in the Applicant Portal. Applicants for Grades 5 and 6 are invited to Country School for a shadow visit. Details regarding visit dates will be sent to you after submission of the initial application. Applicants to Grade 5 are required to take either the ISEE (Independent School Entrance Exam) or Elementary Level Secondary School Admission Test (SSAT). Information regarding testing levels, registration, deadlines, test sites and test dates can be found on the following websites: ISEE: www.iseetest.org; SSAT: www.ssat.org. Applicants to Grade 6 are required to take either the ISEE (Independent School Entrance Exam) or the SSAT (Secondary School Admission Test). Information regarding testing levels, registration, deadlines, test sites and test dates can be found on the following websites:ISEE: www.iseetest.org; SSAT: www.ssat.org. An applicant interview is required for all students applying to the Upper School. This may take place as part of the parent visit or as part of the student shadow visit. Please call the Admission Office to schedule a date/time that is convenient for your child. Please submit all application materials as soon as possible. You can find all of the supplemental forms required in the Applicant Portal. Applications for need-based financial aid assistance must be submitted via School and Student Services (SSS) simultaneously with the admission application and no later than the January 15 priority deadline. Applications received after January 15 will be considered on a funds-available basis. Contact the Admission Office for more information.